December 15, 2016 . Leave a comment. 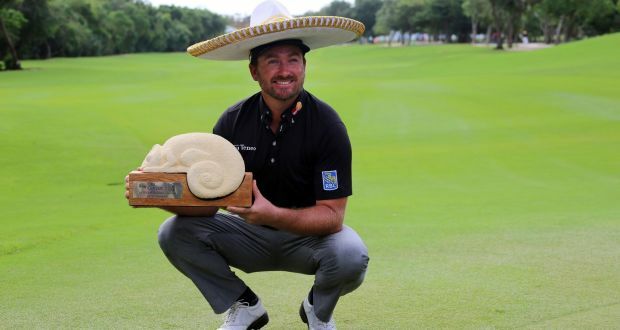 Many golfers often gain inspiration from fellow golfers and that is the case with Graeme McDowell recently. He is now backing on the game and the word is that he is interested in winning trophies in the games he participates. Being Irishman, he is now drawing inspiration from the Rod Pampling’s recent win at Las Vegas. Pampling is considered to be a veteran player from Australia. McDowell is a younger player, at 37 and he looks forward to defend his title at the upcoming event of the PGA Tour that is scheduled for Mexico. He would then head out to Melbourne where he would be part of the Ireland team for the World Cup of Golf. This will be held at Kingston Heath. McDowell won the US Open last in 2010. He was recently witness to the Las Vegas game where Pampling, at the age of 47, was able to score over Lucas Glover, who is about ten years his junior and took away the victory cup. Indeed, McDowell as well as others advancing towards their forties, feel threatened that the game has now become exclusively for the twenty something players.He feels that the game enthusiasts are often carried away with the performances that Rory and Jordan Spieth put up. Indeed, these younger players are also causing the older players to perk up and get in shape to stay in the game. However, with a Pampling’s win it was evident that the older players still have what they need to showcase in order to come up better against the younger players. McDowell admits that he in his mid to late thirties feels too old for the game, especially with the younger contenders in the game. Also, the playing format having changed over time, it is definitely more of a game for athletes than it was the way the game was played conservatively years before.